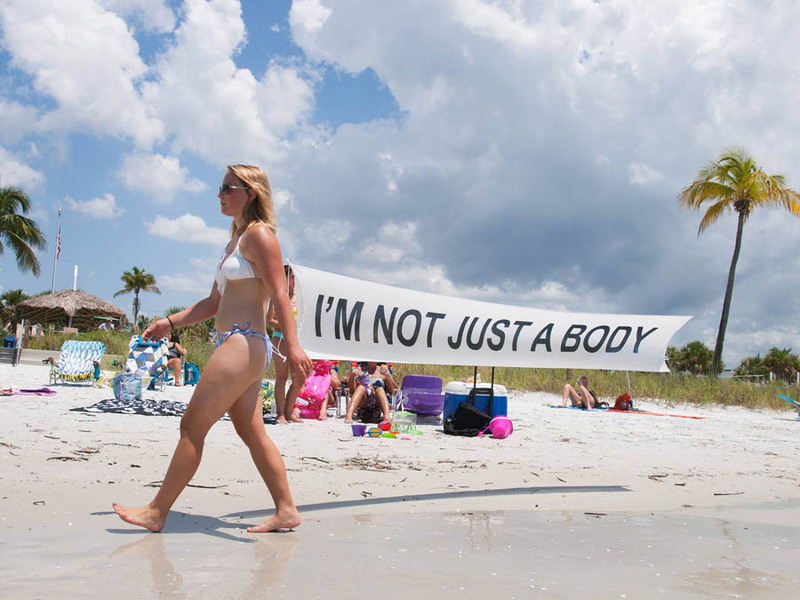 Action carried out in Florida, USA in which several women walk along a beach waterfront pulling from a banner with the slogan ‘I’M NOT JUST A BODY’ in a similiar way as advertisement aircrafts do. 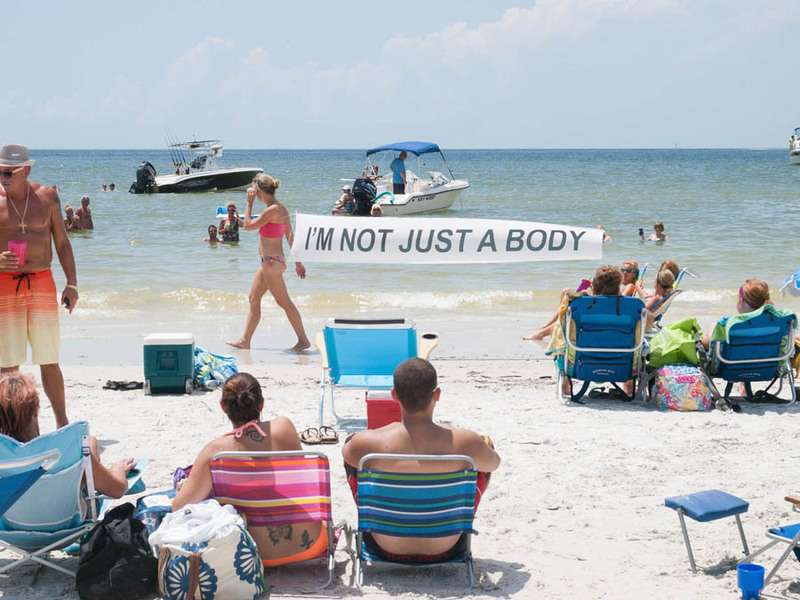 The goal of the action is to send a counter-message aimed towards the one proposed by mainstream media which constantly represent women as precisely just a body. This distorted representation showed in mass media sets the bar by which a woman is valued. Adverts, magazines, movies and even cartoons usually determine that the most valuable virtue in a woman for her success is her physical appearance. 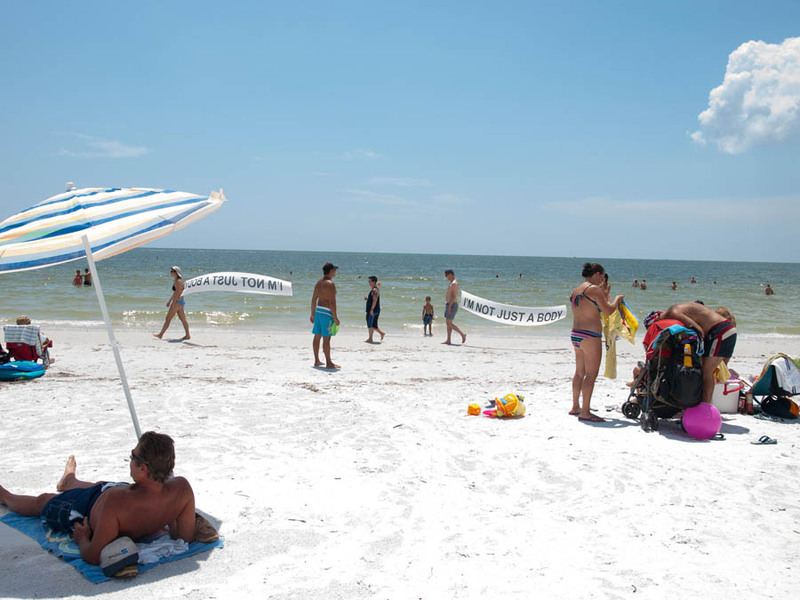 This kind of messages generate a considerable pressure on the perception of a woman’s body, which often translate into severe health and psychological disorders. The result of those issues tend to be regarded however as part of a ‘normal’ everyday life (diets, plastic surgeries…) jeopardising in that way women’s professional, intellectual and even personal self development. 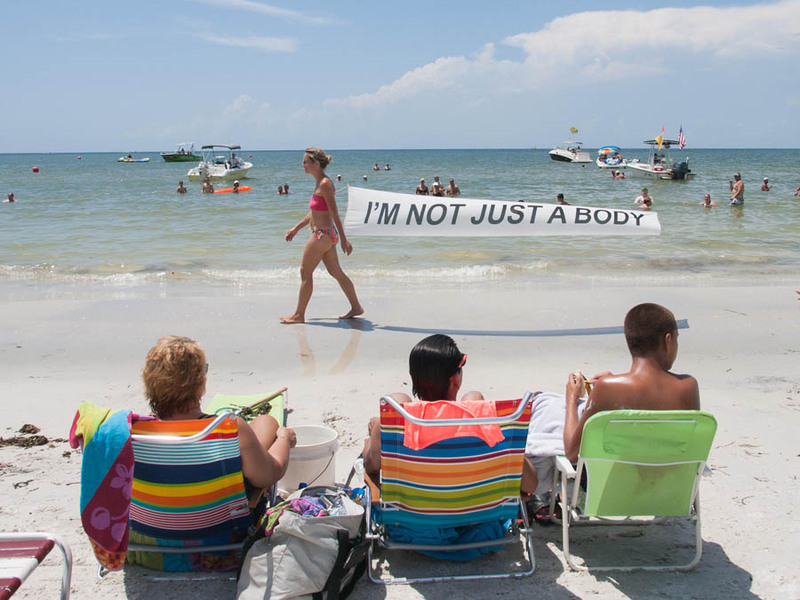 By using the strategy of ‘culture jamming’ (utilising a given media to subvert its own discourse) the woman’s body is turned here into an active agent capable of sending out a clear and robust response: I’M NOT JUST A BODY.